The discount offer on above cannot be used in conjunction with other promotions and / or be exchanged for cash. Climbers need to be physically fit and are able to fit into the harness for the activity. Written parental authorisation is required for clients under 18 years old. 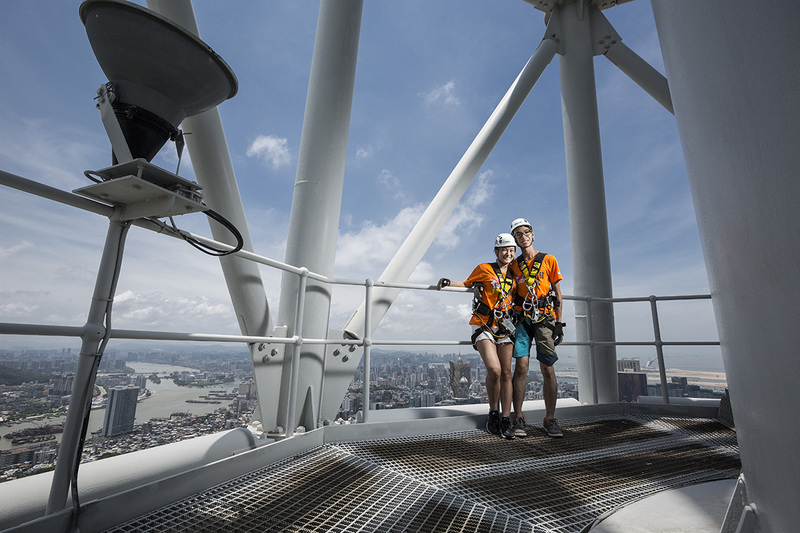 Prepare yourself for the climb of your life as you take on Macau's highest summit with the Tower Climb! 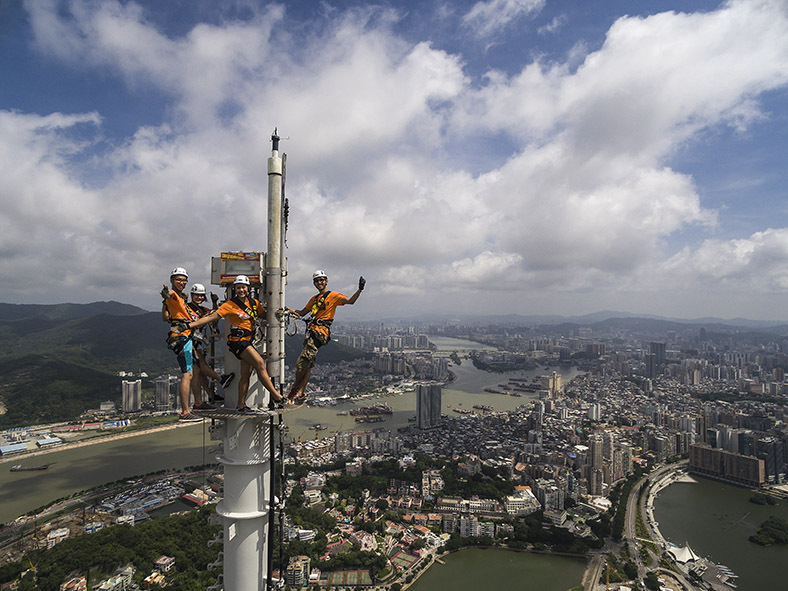 Climbers start at the 61st floor of Macau Tower and climb 100 metres of vertical ladders both inside and outside the towers mast before they reach the peak and very tip of the mast at 338 metres. This challenge is definitely not for the faint of heart and made for amateur and experienced adventure seekers alike. Often regarded as one of the adventure zone's most nerve wracking activities, it requires you to be in moderate shape and have guts as it requires you to climb up a lot of ladders to reach the top.The activity usually takes 1.5 to 2 hours to finish on average. With stunning views and a sense of accomplishment, you can take home the experience on both photos and video with a USB included in the package. There are two trips scheduled daily so it's best to book ahead of time to ensure a slot for your desired day.